Note: A minimum quantity of 100 must be ordered, and in units of 10 thereafter. Cardinal HOLDit! 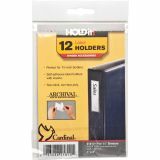 Self-Adhesive Label Holders - HOLDit! 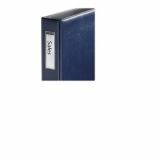 Self-Adhesive Label Holders are ideal for binders, shelves, file drawers, bins, report covers, video cassettes, computer data disks and more. Design features high-quality, nonreflective poly with self-adhesive backing. Nonstick polypropylene is archival-safe, acid-free and will not stick to materials inside. 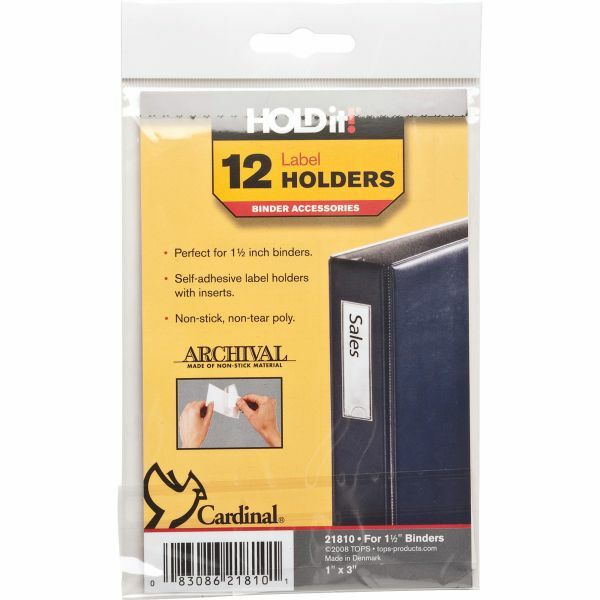 Label holders include reversible paper inserts. Free online templates are available.